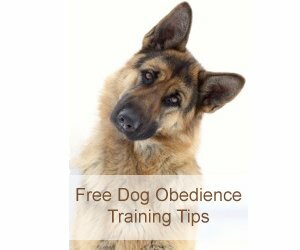 German Shepherd Breed Info for AKC German Shepherds. A member of the Herding Group, AKC breed standards differ slightly from the FCI standard established in Germany, the country of origin. These are standards that German Shepherd breeders are supposed to strive for. In looking over this list, I see a few traits not present in my AKC registered American German Shepherd. Seen from the front the forehead is only moderately arched, and the skull slopes into the long, wedge-shaped muzzle without abrupt stop. The muzzle is long and strong, and its topline is parallel to the topline of the skull. Nose black. A dog with a nose that is not predominantly black must be disqualified. The lips are firmly fitted. Jaws are strongly developed. --42 in number--20 upper and 22 lower--are strongly developed and meet in a scissors bite in which part of the inner surface of the upper incisors meet and engage part of the outer surface of the lower incisors. An overshot jaw or a level bite is undesirable. An undershot jaw is a disqualifying fault. Complete dentition is to be preferred. Any missing teeth other than first premolars is a serious fault. The shoulder blades are long and obliquely angled, laid on flat and not placed forward. The upper arm joins the shoulder blade at about a right angle. Both the upper arm and the shoulder blade are well muscled. The forelegs, viewed from all sides, are straight and the bone oval rather than round. The pasterns are strong and springy and angulated at approximately a 25-degree angle from the vertical. Dewclaws on the forelegs may be removed, but are normally left on. The feet are short, compact with toes well arched, pads thick and firm, nails short and dark. A German Shepherd Dog is a trotting dog, and its structure has been developed to meet the requirements of its work. General Impression The gait is outreaching, elastic, seemingly without effort, smooth and rhythmic, covering the maximum amount of ground with the minimum number of steps. At a walk it covers a great deal of ground, with long stride of both hind legs and forelegs. At a trot the dog covers still more ground with even longer stride, and moves powerfully but easily, with coordination and balance so that the gait appears to be the steady motion of a well-lubricated machine. The feet travel close to the ground on both forward reach and backward push. In order to achieve ideal movement of this kind, there must be good muscular development and ligamentation. The hindquarters deliver, through the back, a powerful forward thrust which slightly lifts the whole animal and drives the body forward. Reaching far under, and passing the imprint left by the front foot, the hind foot takes hold of the ground; then hock, stifle and upper thigh come into play and sweep back, the stroke of the hind leg finishing with the foot still close to the ground in a smooth follow-through. The overreach of the hindquarter usually necessitates one hind foot passing outside and the other hind foot passing inside the track of the forefeet, and such action is not faulty unless the locomotion is crabwise with the dog's body sideways out of the normal straight line. How about a restriction on breeding dogs not certified free of elbow and hip dysplasia? German Shepherd Breed Info © The American Kennel Club, Inc.